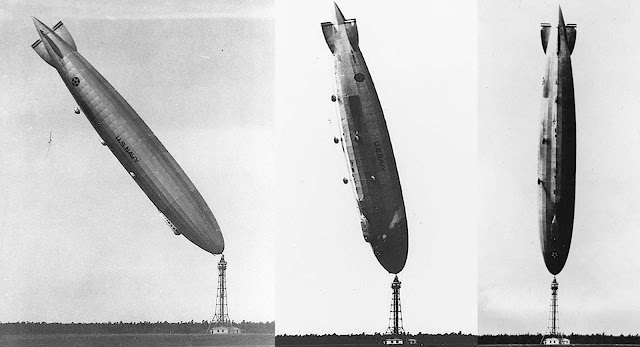 The USS Los Angeles was a rigid airship, designated ZR-3, which was built in 1923–1924 by the Zeppelin company in Friedrichshafen, Germany, as war reparation. It was delivered to the United States Navy in October 1924 and after being used mainly for experimental work, particularly in the development of the American parasite fighter program, was decommissioned in 1932. On August 25, 1927, while tethered at the Lakehurst high mast, a gust of wind caught the tail of the Los Angeles and lifted it into colder, denser air that was just above the airship. This caused the lifting of the tail to continue. The crew on board tried to compensate by climbing up the keel toward the rising tail, but could not stop the ship from reaching an angle of 85 degrees, before it finally descended. 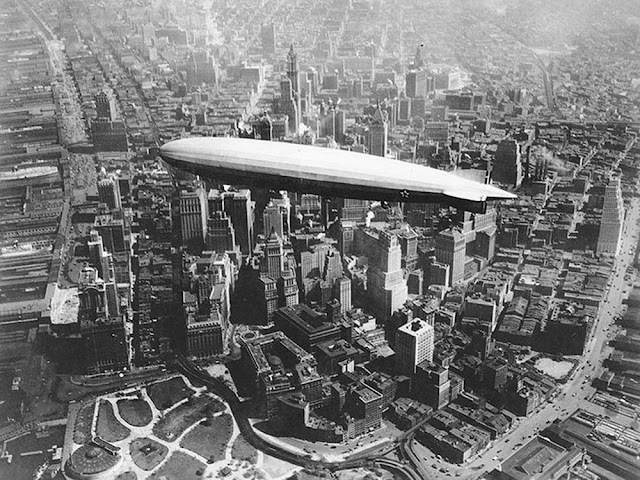 Amazingly, the ship suffered only slight damage and was able to fly the next day. USS Los Angeles over Manhattan, New York, 1930.